Building plots (2) both app 0. 652 hectares with full planning permission for contsruction of Detached Dwellhouse. Services nearby. Paddock app 3 acres maybe available by sep neg. Prices over £59,950 Entry by arr. Viewing Mr Hamilton 07967 720 050 or go along to site. Enjoying a pleasant rural location these TWO RESIDENTIAL BUILDING PLOTS are located close to the small rural hamlet of Woodhead and are within easy commuting distance of Ellon, Inverurie and Aberdeen. 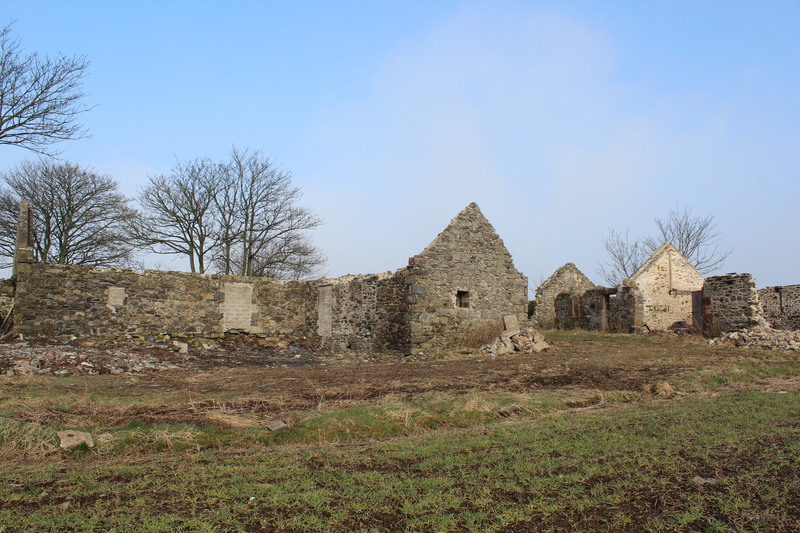 The plots each extend to approximately 0.652 of an acre and currently have a derelict farm building on site. This will require to be demolished before construction can begin. Mains water, electricity and telephone services are believed to be nearby, however each site would require a septic tank. A further paddock extending to approximately 3 acres may be purchased by separate negotiation. LOCATION: The site enjoys a scenic rural location with pleasant open views across the surrounding rolling countryside. Situated just under four miles from Fyvie and around ten miles south of Turriff it is within commuting distance of Dyce and Aberdeen. Fyvie offers a range of local shops with leisure pursuits also being catered for by way of a bowling green, pleasure park and delightful walks around the historic Fyvie Castle. Local schools serving the area are Fyvie Primary and Turriff Academy, with transport being provided to both. TRAVEL DIRECTIONS: From Inverurie take the B9170 to Oldmeldrum, then the A947 to Fyvie. Turn right into the village and continue up Main Street, take the road on the right signposted for Woodhead/Ellon B9005. Continue through Woodhead and approximately 1 miles along turn right onto the second road signposted "Fetterletter". At the next junction continue straight ahead and the properties are located a short distance ahead on the left hand side.